Bang & Olufsen added AirPlay 2 support for more speakers, including BeoPlay A9 and BeoPlay M5, last week. This is followed by the addition of AirPlay 2 to BeoPlay M3, BeoSound 1 and 2, BeoSound Core and BeoSound Shape in early November BeoPlay A6, BeoSound Essence and BeoSound 35 until the end of December. AirPlay 2 should be activated as part of an automatic software update for each speaker. However, the software version can be manually reviewed and updated as needed via the Bang & Olufsen app for iPhone and iPad. With the AirPlay 2 update, these Bang & Olufsen speakers now support multi-room audio when paired with other AirPlay 2 devices such as the HomePod, Apple TV and Sonos speakers including One, Beam, Playbase and the second generation Play: 5 and select audio receivers from Denon and Marantz. 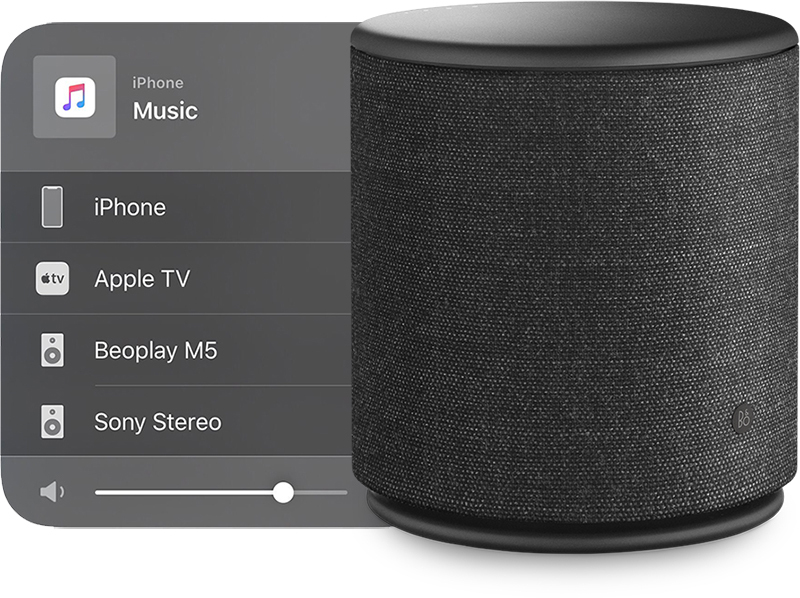 AirPlay allows Siri control of Apple Music or Podcast playback on supported speakers via iPhone, iPad, iPod touch, HomePod and Apple TV. 1.4 or later devices in the Control Center. AirPlay is Apple's wireless streaming protocol, allowing users to easily stream audio from iTunes on a Mac to supported speakers, as well as iPhone apps like Apple Music, YouTube, Spotify, Hulu, and Netflix to AirPlay-enabled speakers can. these BeoPlay and BeoSound options are now included.